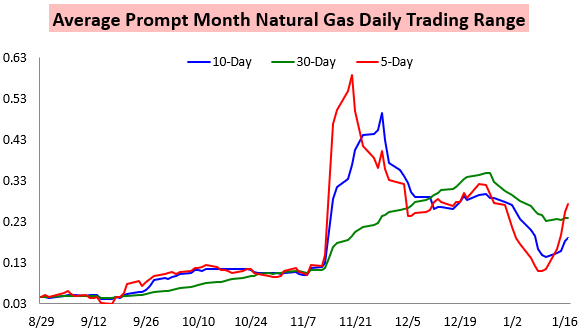 After Monday's break upwards, the story in the natural gas market has been much of the same this week, with cash strength and bullish overnight weather model guidance sending prices into highs early in the morning before warmer afternoon models cancel out those gains and pull prices back into the settle. Today, the February contract just barely eked out a gain of less than a percent. 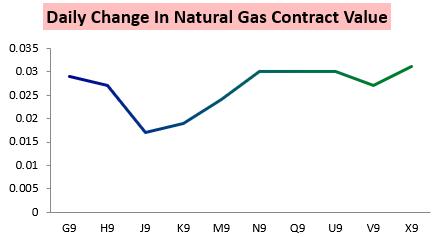 Gains were rather uniform along the natural gas strip as well. Yet volatility remained, with the average daily trading range continuing to move higher. 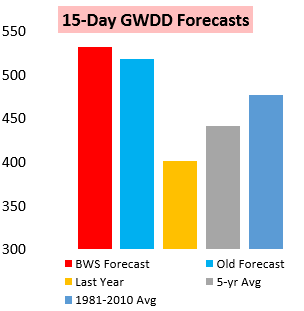 The recent trend has been for overnight weather model guidance to trend colder, something we noted in our Morning Update would help drive prices higher this morning. 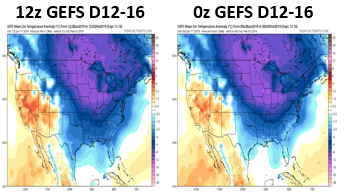 Then afternoon model guidance has backed off the intensity of that cold, as seen on the afternoon GEFS below (images courtesy of Tropical Tidbits). 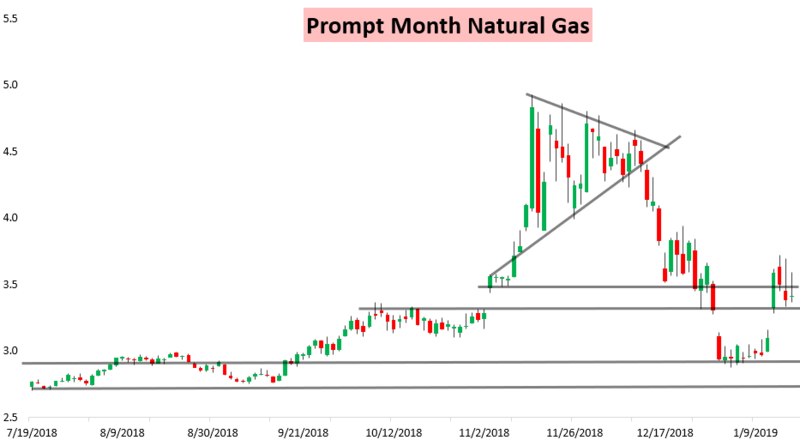 Selling started a bit earlier today as well following an EIA natural gas storage number that was right in line with expectations. 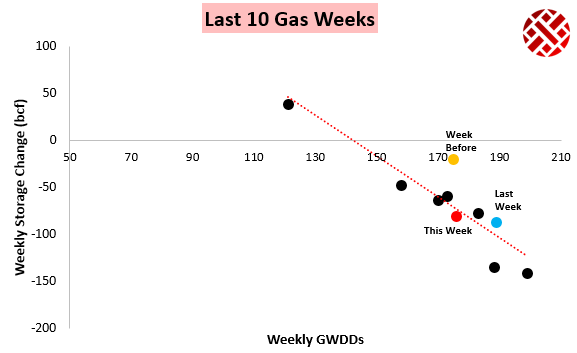 The EIA announced that 81 bcf of gas was withdrawn from storage last night, in line with our estimate of 83 bcf. 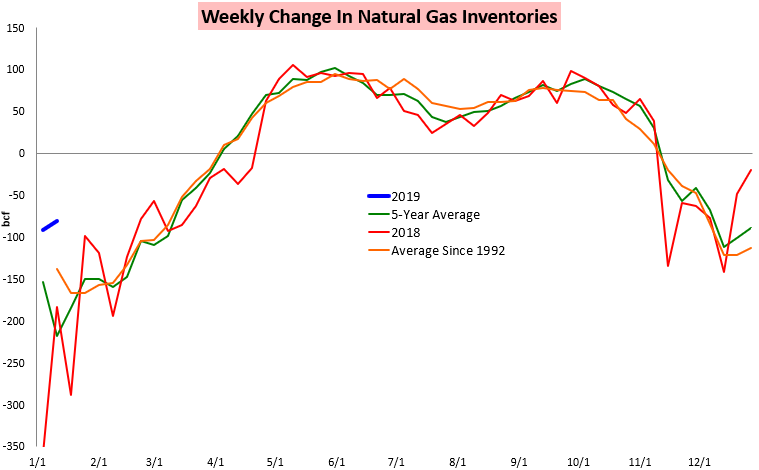 After a significant amount of holiday noise and demand destruction, this print much better fit our expectations and confirmed our current reading of the natural gas supply/demand balance. It also showed balance tightening with less of that demand destruction. Still, that wasn't enough to ease selling off warmer afternoon weather model guidance as traders became less concerned about cold later in February. This is not to say that cold is not coming, as the below CPC forecasts show cold is still very likely, but rather just that models are still bouncing around on the intensity of that cold.